Item # 312650 Stash Points: 3,995 (?) This is the number of points you get in The Zumiez Stash for purchasing this item. Stash points are redeemable for exclusive rewards only available to Zumiez Stash members. To redeem your points check out the rewards catalog on thestash.zumiez.com. 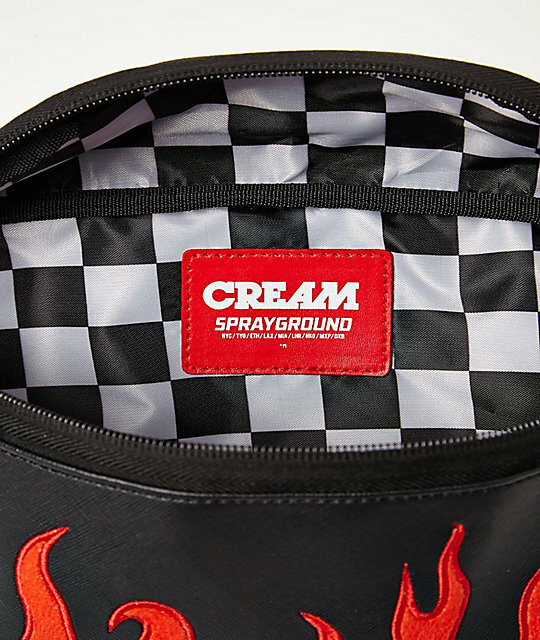 Get the hottest accessory from Sprayground with the Cream Flame Fanny Pack. 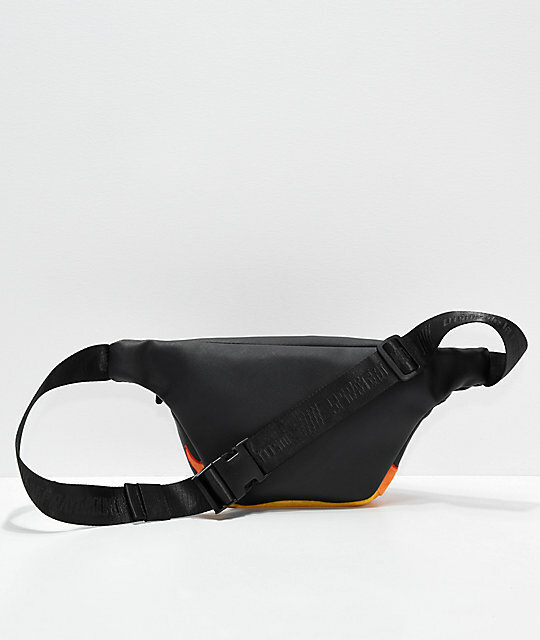 This black fanny pack can be worn crossbody or around the waist, thanks to the adjustable web belt with sturdy plastic clip. A fully lined main compartment offers plenty of storage, while the exterior features soft velour flames sewn on to the front for a one-of-a-kind look. 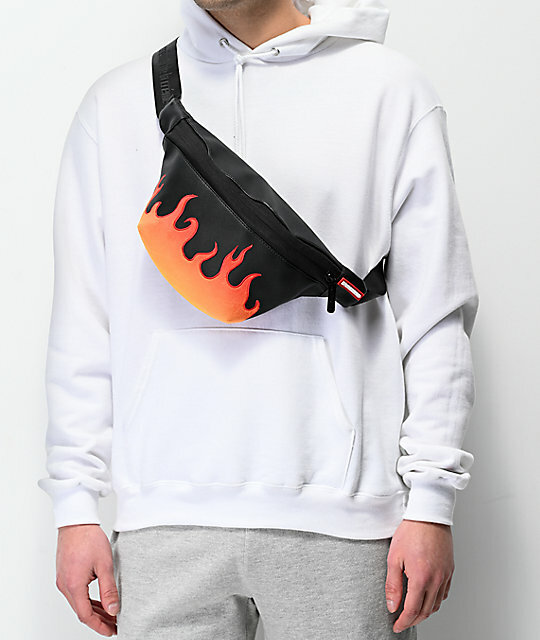 Cream Flame Fanny Pack from Sprayground. 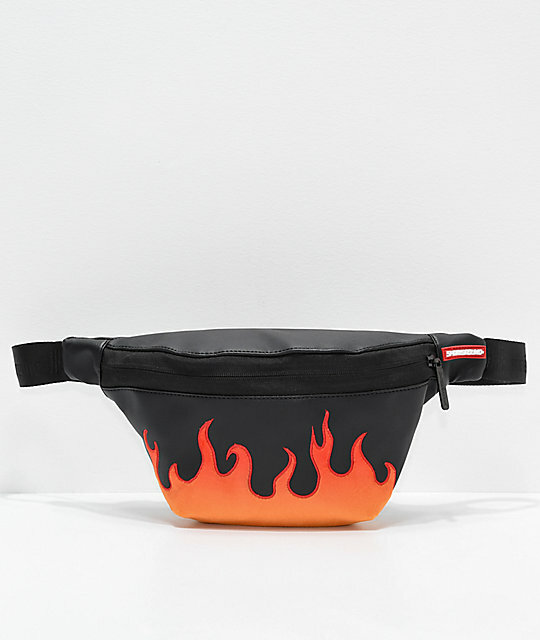 Orange velour flames sewn onto the front.